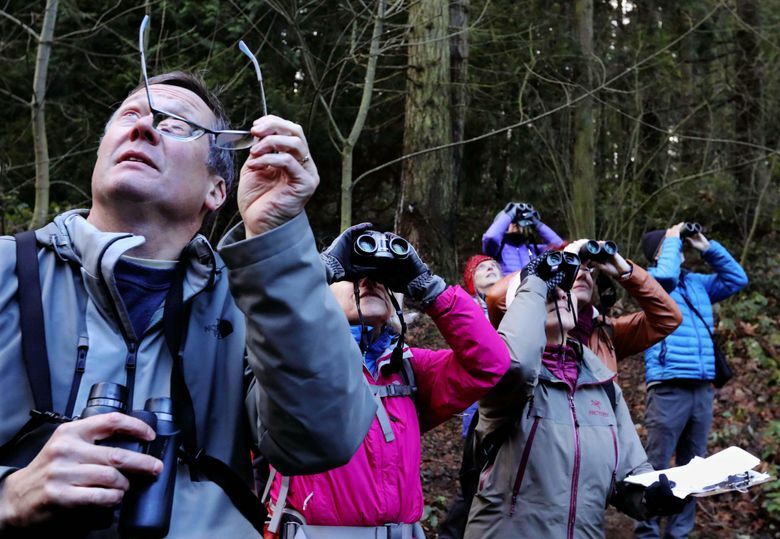 “I thought I heard a creeper?” From all over Seattle and beyond, bird watchers team up for the Audubon Christmas Bird Count — to witness wonder and take a census of the local bird population in the longest-running citizen science project in North America. 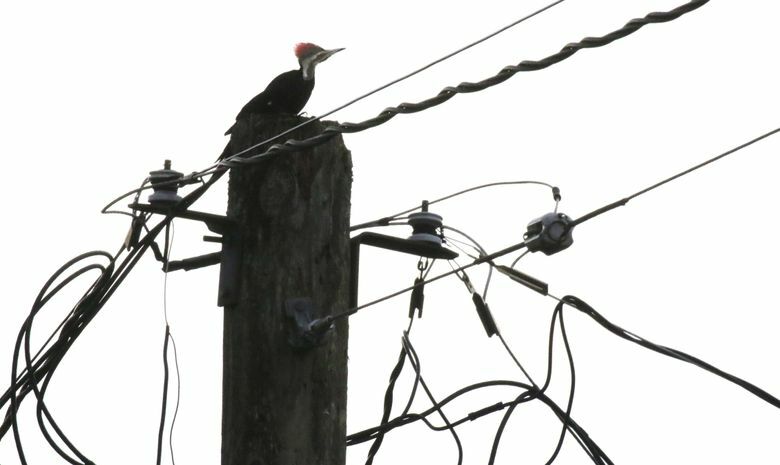 Undaunted amid a tangle of high-voltage wires, the pileated woodpecker serenely surveyed its neighborhood. 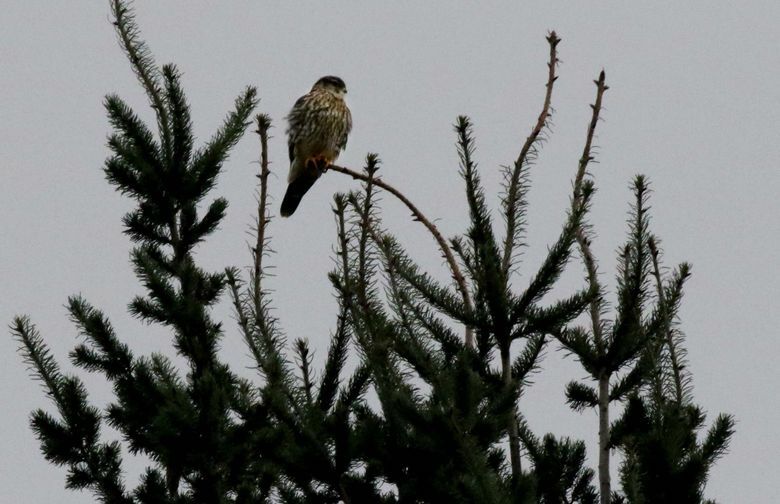 Down the street, a merlin — a small, sleek falcon — reposed atop one of the last big trees left on the block. 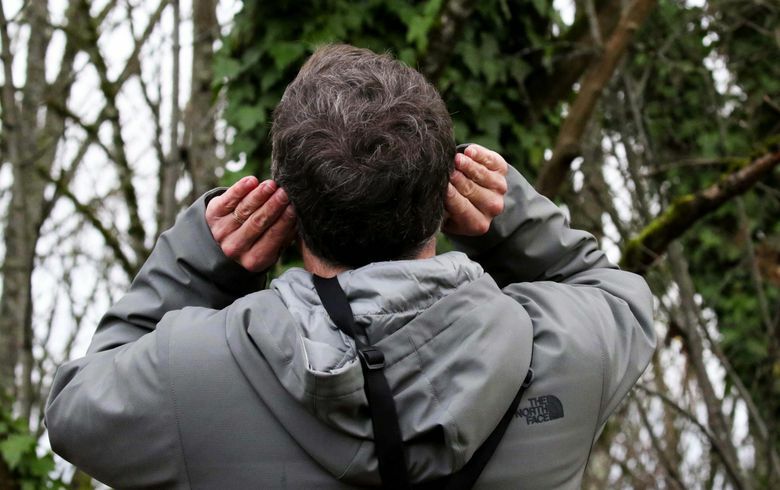 All over Seattle, these urban-bird holdouts delighted volunteers, counting every bird they could see and hear in a daylong Audubon Christmas Bird Count. It’s the oldest citizen science project anywhere in North America, conducted all over the country throughout the holiday season. Saturday was Seattle’s turn, and volunteers were out tallying birds all over the city. Some began before dawn to hear the owls; some fanned out along beaches, others prowled parks and neighborhoods. Seattle Audubon has coordinated the count for nearly nine decades, with hundreds of volunteers each year surveying a circle 15 miles in diameter, centered in downtown Seattle. Their mission: Count anything with feathers and a pulse. About 200 volunteers surveyed the count circle Saturday, cut into 14 sections, each section covered by one or more teams of volunteer surveyors. 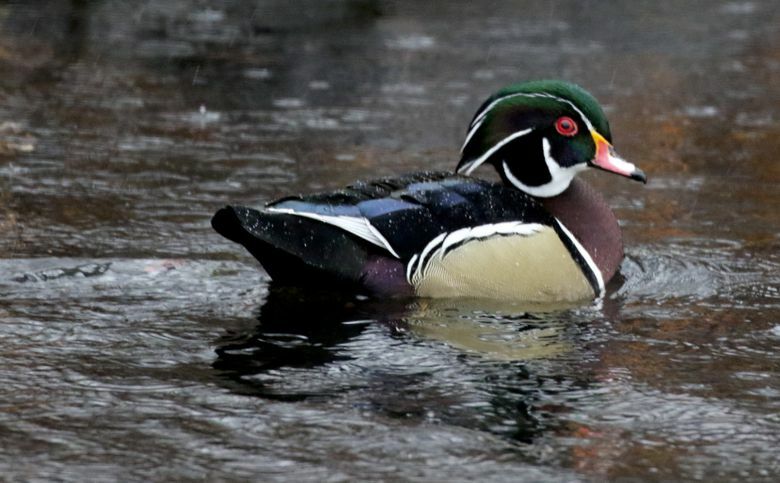 The results are tallied for submission to the National Audubon Society for ongoing research on everything from bird-population trends to effects of climate change. 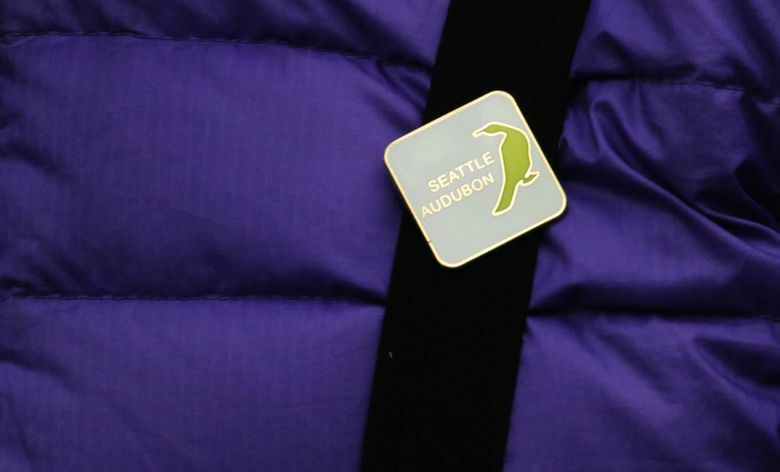 Founded in 1916, the Seattle Audubon Society is the oldest environmental organization in Washington. 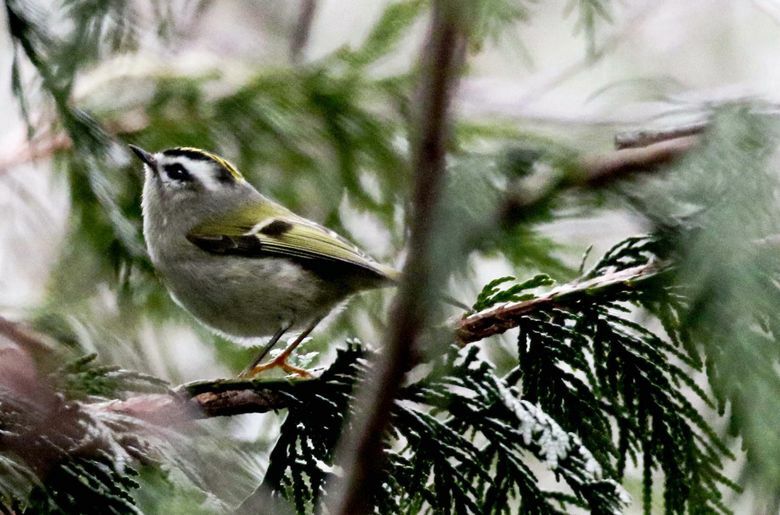 Its Christmas Bird Count volunteers have witnessed the transformation of the Seattle landscape in nearly 90 years of counts and documented the lives of birds changing with their habitat. 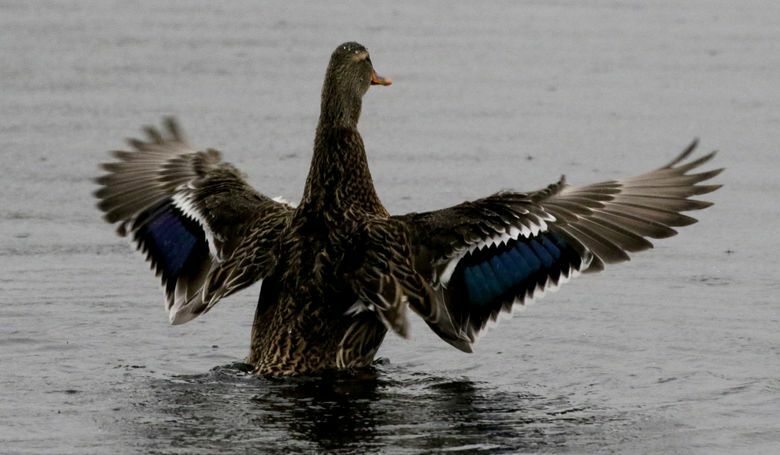 In Seattle’s bird count these days, one thing quickly becomes clear: Birds vote with their feet for parks, for greenbelts, for any bit of scruff and duff as Seattle grows. Leave it, and they will stay: any tree, every bit of branch and lovely dense thickety-thick, the tumbled bramble, the untidy winterkill — that’s where the birds were. Tidy was barren of birds. Scruffy was hopping. A Seattle Audubon guide shows how everyone can make a difference, gardening for birds wherever they live, and keeping canopy connections between trees. 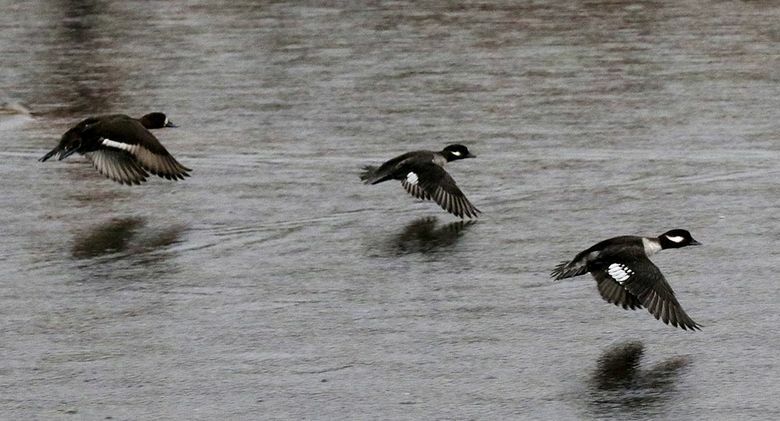 Habitat is the difference: In just one area, working their way along the ridge of the western green belt above the Duwamish River, volunteers tallied 54 species of birds and 1,235 individuals — a wonderland of birds, amid dog parks, neighborhoods and urban playfields. 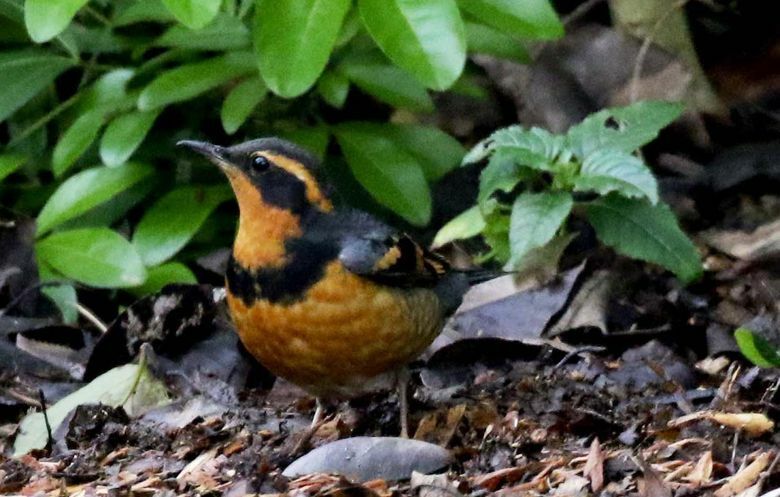 A varied thrush picked at leaf litter at the Riverview Playfield in Delridge. A juvenile bald eagle flapped with stately cadence over utility lines at Westcrest Park. 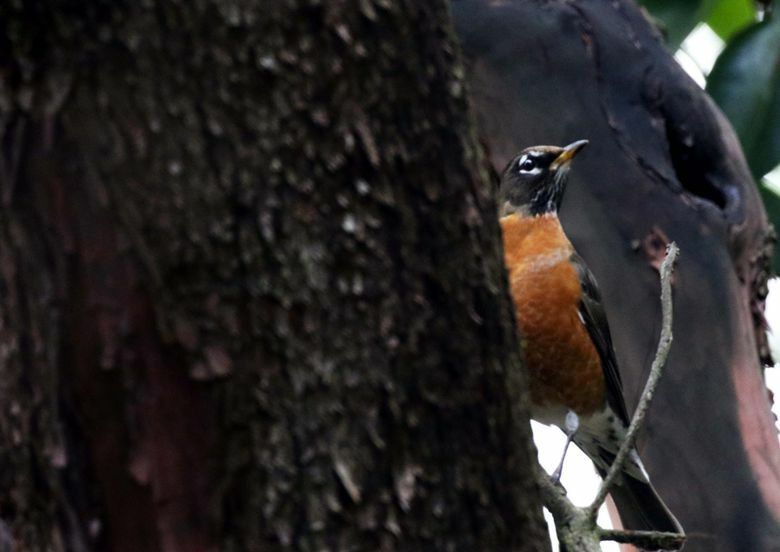 Robins gobbled down the ripe red berries of madrona trees. All around, not far from busy Roxbury Street, birds flew, sang, perched, crept, flitted and fed. Wild hope on the wing. At the West Duwamish Greenbelt, a carefully curated and restored swath of forest in view from Interstate 5, the bare branches of big-leaf maples were alive with bushtits. 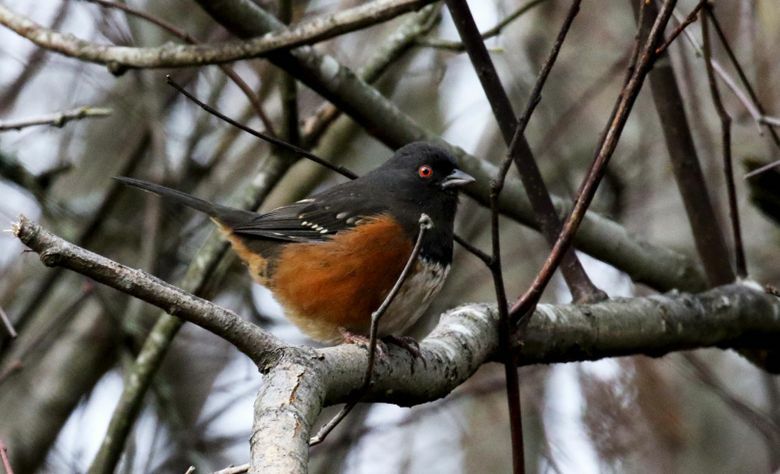 Wrens ticked steadily in the toppled bronze foliage of winter-killed bracken fern, and the eerie red eyes of a spotted towhee glowed from its perch on a branch. 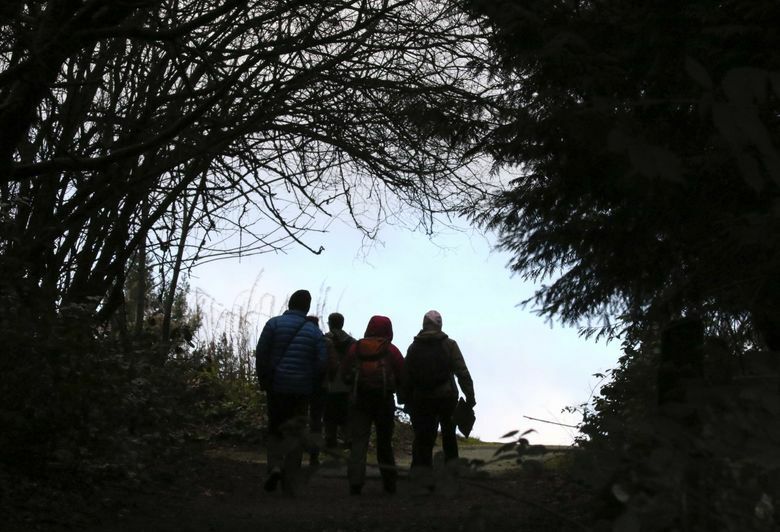 Mary Kay Voytilla of Seattle was on her first survey, “to do something positive for environment, and just taking in the beauty that surrounds us.” Something she’d always wanted to do, she said. Getting out on the count for her was a personal act of renewal, for the new year. Michele Warner of Bothell, out for her second count, said, “It’s good to get out, see other places in the area, and meet other birders. 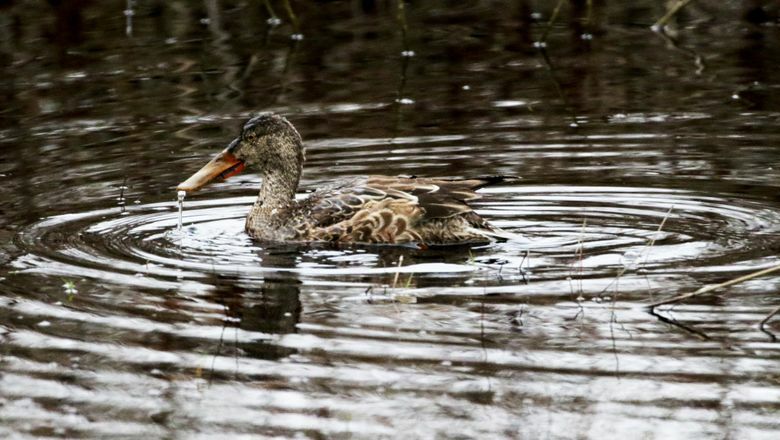 “I love to see anything I haven’t seen before.” Her thrill so far for the day was a snipe with its long elegant bill, sighted at a scruffy pond by a recycling plant near the Duwamish River. Who would have guessed. For some, the count is a yearly ritual not to be missed. 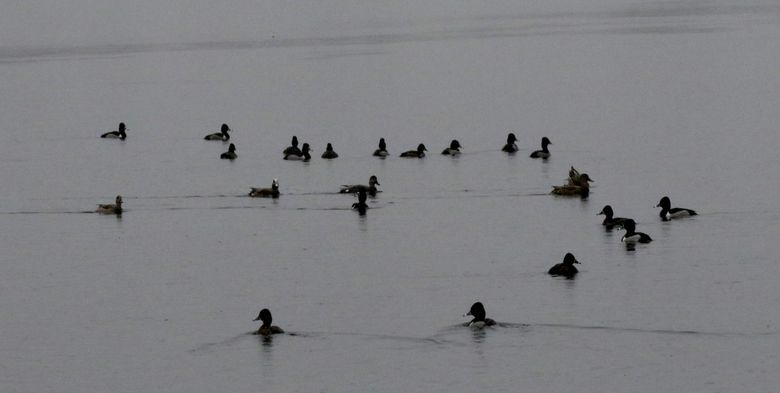 Ed Swan, a Seattle nature writer and guide and leader of this particular band of counters, said he has been on the Christmas Bird Count in a variety of locations since 1987. He was a quick draw on the binoculars — but just as ready with his hands to his ears, cupping them to hear the soft sounds of a bird. “I thought I heard a creeper?” he said with excitement, and sure enough, small, dark and soft as a mouse, the creeper, well, crept up the trunk of an alder just off the trail at the West Duwamish Greenbelt. It was the first bird of its kind seen that day. Swan moved to Seattle from Vashon Island, and said he is amazed to count even more birds here, with some 80 species seen right from his Seattle yard. He has a birder’s life list with more than 1,400 species he’s seen on several continents. Yet each sighting of another species still seems to thrill him, whether that creeper, or a common Steller’s jay or a ruby-crowned kinglet. Compiling and studying data on local birds over the years in Washington state has brought both good and bad news. In the Puget Sound region, birds that frequent feeders in general are doing well, and some, such as Anna’s hummingbirds, have even expanded their range. 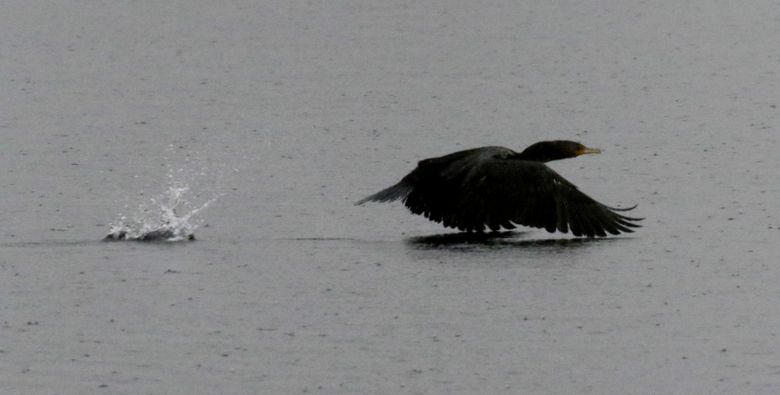 Other birds are struggling, particularly some sea birds, apparently for lack of forage fish. At Cherry Point, near Bellingham, herring stocks once the wealth of Puget Sound have plummeted to all-time lows. Toby Ross, science manager for Seattle Audubon, said preliminary trends from this year’s count include: Starlings on the decrease. House sparrows declining. Western grebes moving south, to California. Anna’s hummingbirds continued their massive increase over the history of the Seattle count, likely due to people feeding them. And merlin now nest in Seattle, when only five years ago, they didn’t. 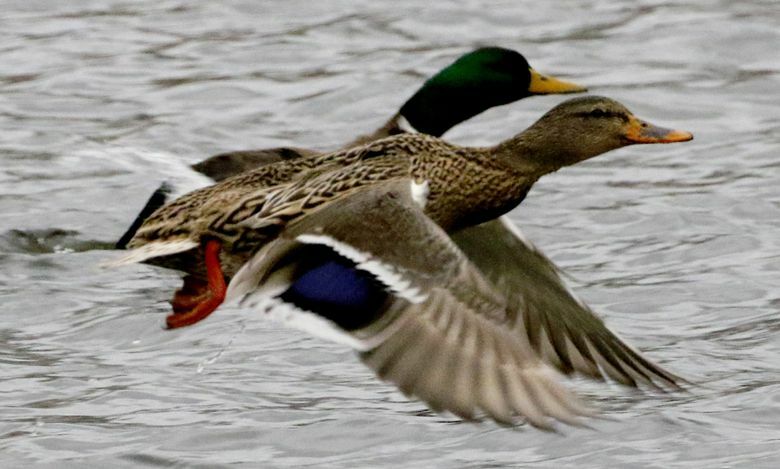 The Christmas Bird Count has its roots in a very different Christmastime tradition, dating to the late 1800s, of hunters heading out after their holiday feast to kill every bird they could find. The national organization converted the practice to a harmless count in 1900 — and continues to this day. The delight of birds, after all, is timeless. 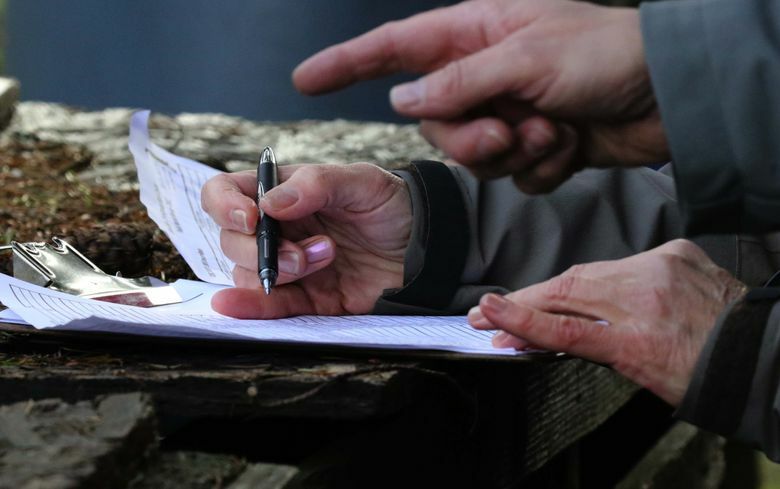 “They are everywhere, they just draw the eye, and of course they do something we cannot do,” said Wendy Walker, community-engagement manager for Seattle Audubon, on the count Saturday alongside volunteers.